Minneapolis and its metropolitan area are located southeast of the state of Minnesota, along the Mississippi River. Minneapolis exceeded its past, which is marked by agriculture, to become one of the major financial and business centers of the United States. When staying in Minneapolis, you can enjoy tourist attractions such as the Sculpture Garden, the Uptown, which is the quintessential area for foodies, the zoo and the Walker Art Center. Minneapolis has a typical continental climate, with heavy rains even in the summer, when the highest temperatures are around 82ºF (28ºC). The Minneapolis-Saint Paul International Airport is located within the boundaries of Minneapolis and is one of the largest in the United States. Internally, the city has an efficient transportation system that includes the blue metro line, which can be picked up from Minneapolis-St. Paul International Airport in the south, to get to Downtown Minneapolis. (See accommodation in Downtown Minneapolis). The Downtown is known as the business area of Minneapolis, hosting impressive skyscrapers, office complexes and the most important museums in the city. Downtown Minneapolis is bordered by the Mississippi River to the east and is an industrial oasis with several well-known attractions such as First Avenue, a live music club, which is a great place to discover the nightlife of the city. 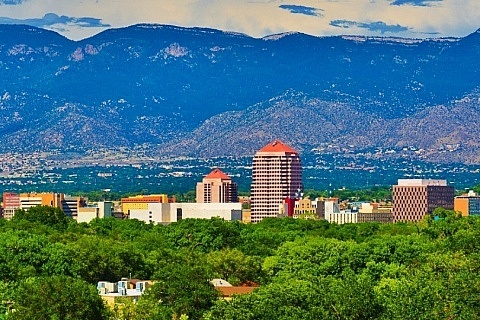 In this area, you will find department stores and boutiques, ideal for shopping lovers. It is also Downtown that concentrates the restaurants, breweries and high-end hotels of Minneapolis. 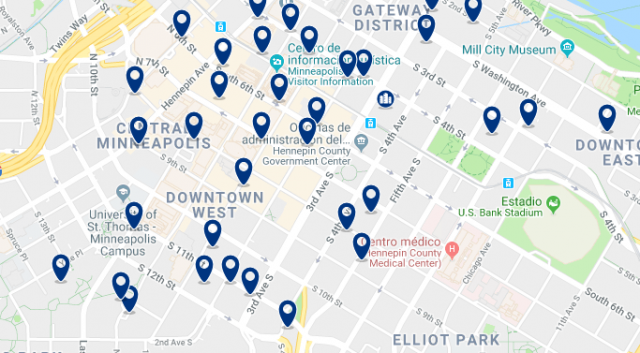 Downtown Minneapolis has several transport options to move to other districts, including routes 4, 11 and 61 of the bus, which makes it one of the best areas to stay in Minneapolis, since it is very well-connected. Downtown Minneapolis is a recommended area for business travelers, thanks to the Minneapolis Convention Center, where major events are held frequently. This Minnesota hotel features a sauna and indoor pool and is connected to the Minneapolis Convention Center via an elevated walkway. This charming hotel is located close to the main attractions and offers modern amenities, such as a free daily breakfast buffet. This 4-star hotel is located in downtown Minneapolis, 10 minutes’ drive from the University of Minnesota. The hotel offers spa services. The Warehouse District, filled with fashion stores and innovative restaurants, has transformed the old Minneapolis department stores to become a vibrant, ever-growing area. 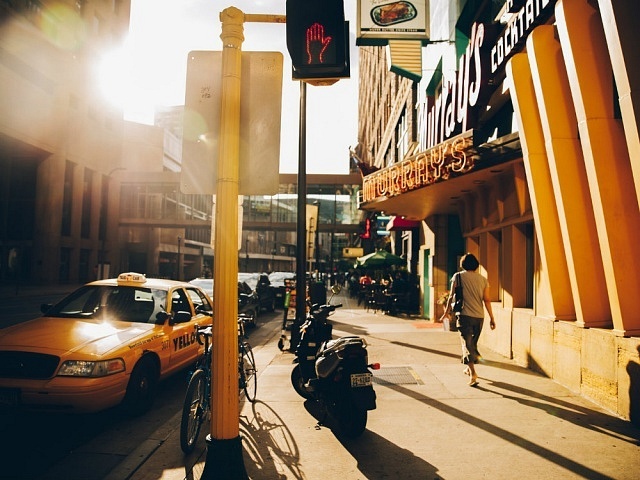 Attractions such as the Target Center stadium, the Bob Dylan mural, Acme Comedy Company and The Lab Theater are part of the Warehouse District, making it one of the best areas to stay in Minneapolis, as there is always something to see and do in its streets. 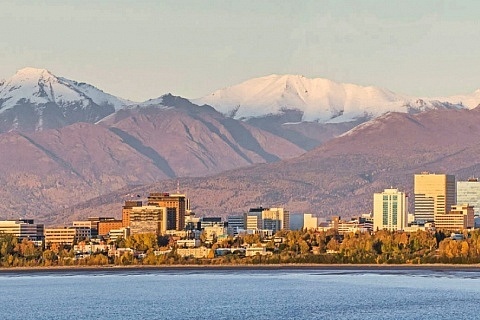 This shopping district, in addition to boutiques, includes some of the best gastro pubs, ideal to enjoy cocktails at the end of the day. The buses on route 7 and 14 run through the Warehouse District and go to other areas of the city. For those who visit by car, this district offers parking areas, with availability subject to the day and time. The Warehouse District is among the best areas to stay in Minneapolis for nightlife, as it is the center of entertainment in the city. 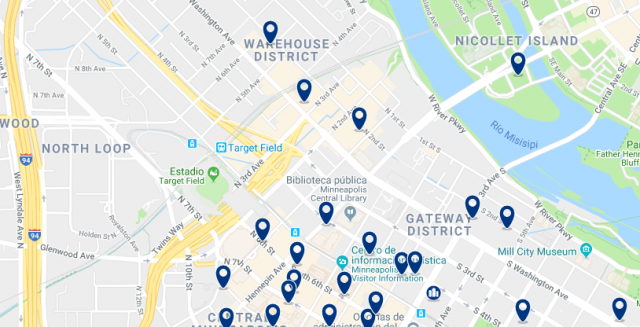 Towneplace Minneapolis Downtown is located 0.3 miles from Target Field, and offers self-catering accommodation with free WiFi. It also has gym and pool. Staying in Mill District allows you to go back in time and travel to the Minneapolis that dominated agriculture. The area offers views of the flour mills that were converted into condos, as well as attractions such as the Guthrie theater and the MacPhail music center. Currently, Mill district is the cultural center of Minneapolis, located on the east side of the Downtown area, and home to buildings that are part of the heritage of the city, as well as offices and shops. This district is ideal for relaxing days, hiking trails and bike rides along the Mississippi River, so it is one the best areas to stay if you’re looking for a peaceful time in the great city of Minnesota. The Minneapolis Residence Inn offers underground parking with heating. 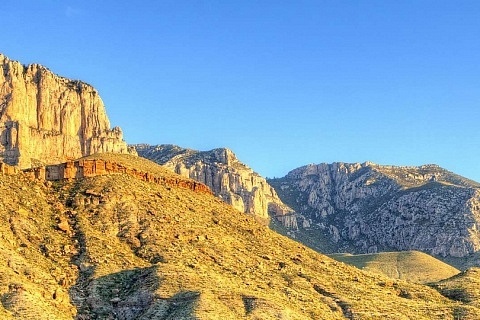 It also has a grill-style restaurant, free Wi-Fi and rooms with a fully equipped kitchen. The Renaissance Minneapolis Hotel, The Depot is located 11 miles from Mall of America and features an indoor pool. Dinkytown is a commercial district within the Marcy – Holmes neighborhood of Minneapolis. It is made up of a set of blocks occupied by small businesses, restaurants and bars. 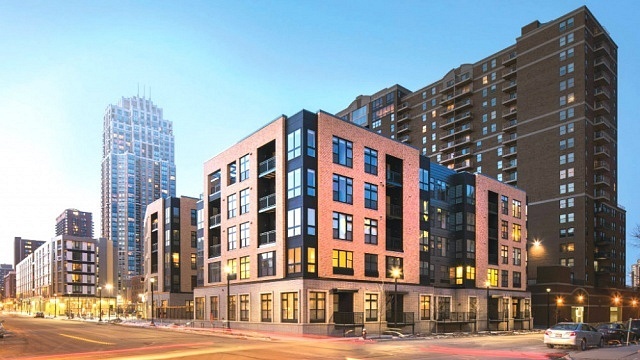 In this area, you’ll find the University of Minnesota, which gives a great, youthful energy to Dinkytown. 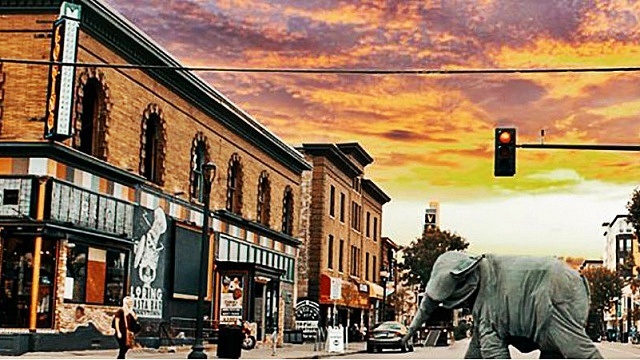 With a modern atmosphere, in Dinkytown you can enjoy concerts in Varsity Theater, as well as dinner in bars and elegant restaurants like the Loring. To travel the district or move to other places in Minneapolis, you can take the bus at different stops in the area. Dinkytown is a small but very lively district, ideal when looking for where to stay in Minneapolis, and recommended for young adults. Featuring a fitness center and free parking, this hotel is located in Minneapolis, just 4 blocks from the University of Minnesota campus. 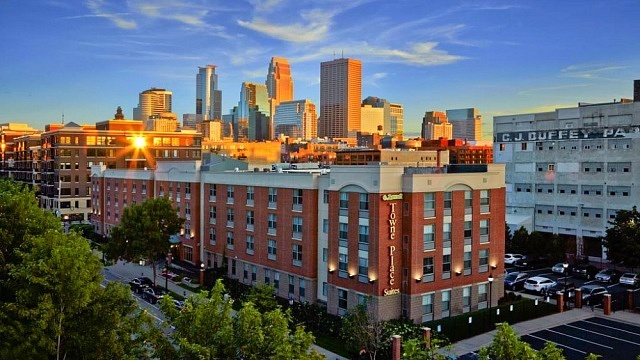 The Days Hotel by Wyndham University Ave SE is located in Minneapolis, on the edge of the University of Minnesota campus, and offers a free shuttle service to the university campus. Located on the campus of the University of Minnesota, this boutique Minneapolis hotel offers on-site dining, free Wi-Fi and local shuttle service.